Let me begin by saying that I have pretty much fallen in love with Pinterest. One of my favorite parts about the site is the ability to find and try new recipes. However, I run into the same problem every time I find and pin a new recipe–I wish I personally knew the person who made it to ask my questions and get a real, honest opinion on the answers. That is part of the reason why I enjoy blogging about the recipes that I discover and try out. For me, I like to take a recipe and tweak it to my liking and let you in on the secrets and findings that I come up with in the process. I don’t know about you, but in our household, we always have a hard time coming up with quick and healthy breakfasts in the mornings. 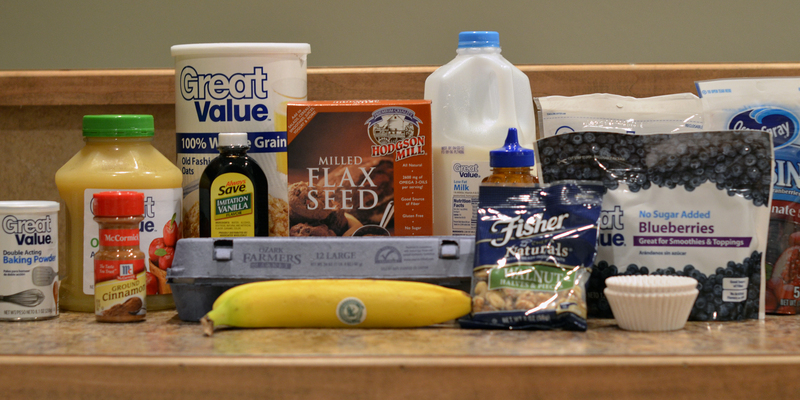 Sometimes, all we have time for is the grab and dash, which usually results in granola bars or toaster pastries. So, I’ve been keeping my eye out for some new breakfast recipes! 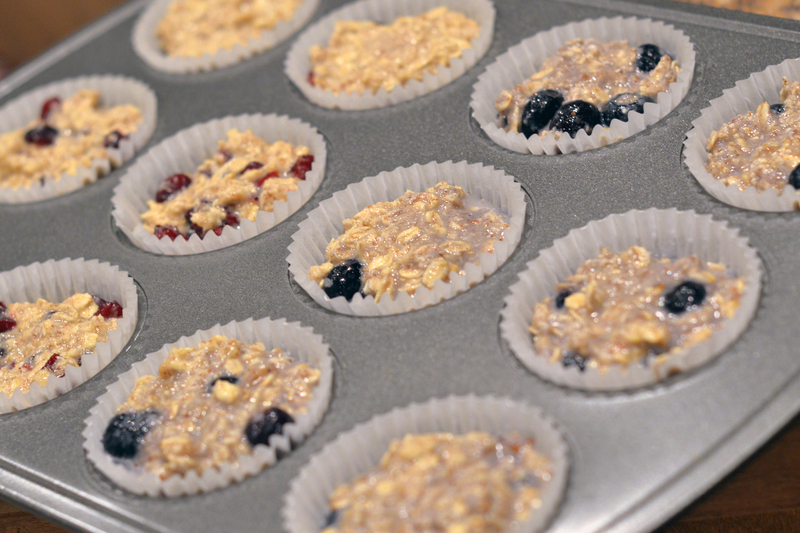 I was thrilled, then, when I came across a recipe for Baked Oatmeal Muffins. 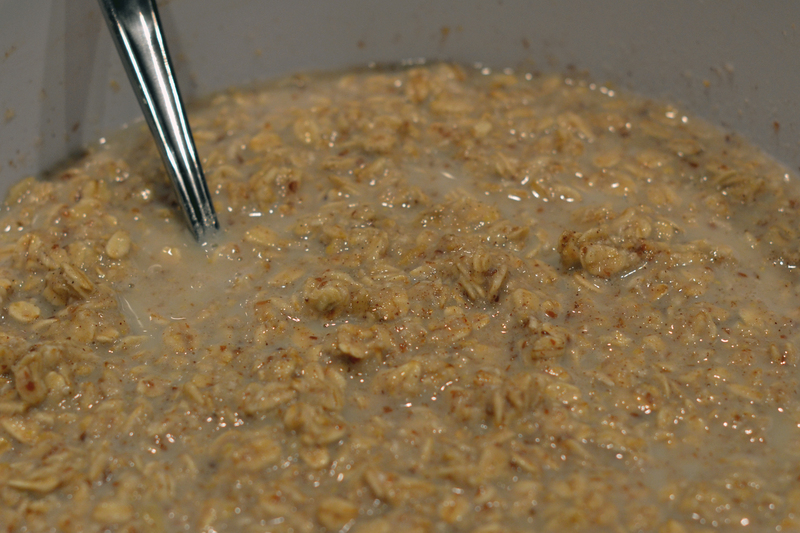 I like oatmeal, but don’t normally have the time to sit down and enjoy a bowl in the morning. The other problem is that I normally never finish an entire bowl in one sitting because it’s just too much oatmeal than I can handle at one time. 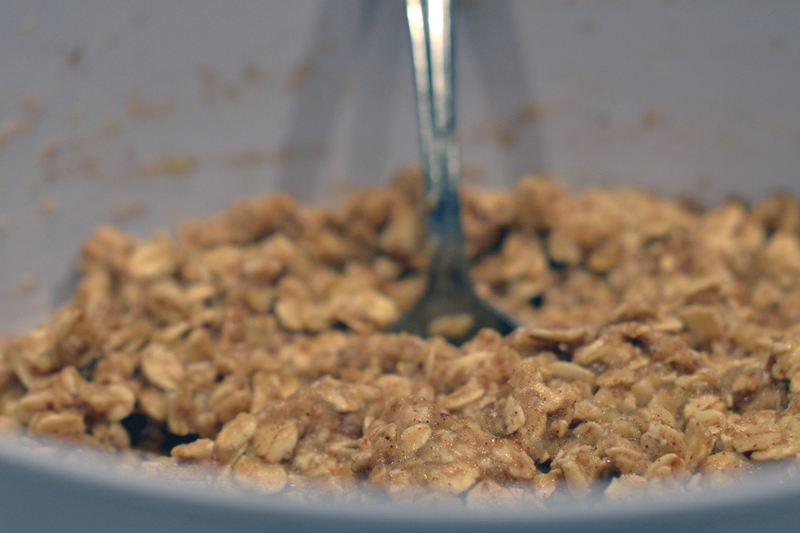 My husband, however, almost always needs to have two packets of oatmeal to feel satisfied. 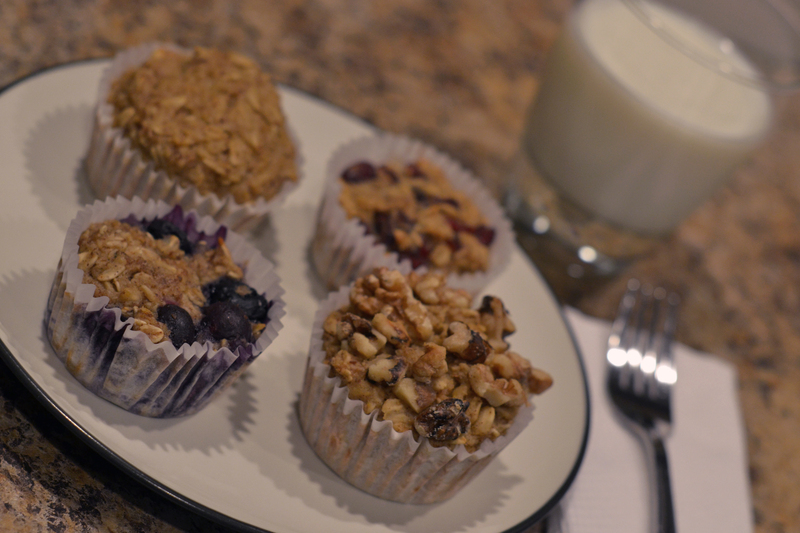 Baking oatmeal into muffins has become the perfect solution. 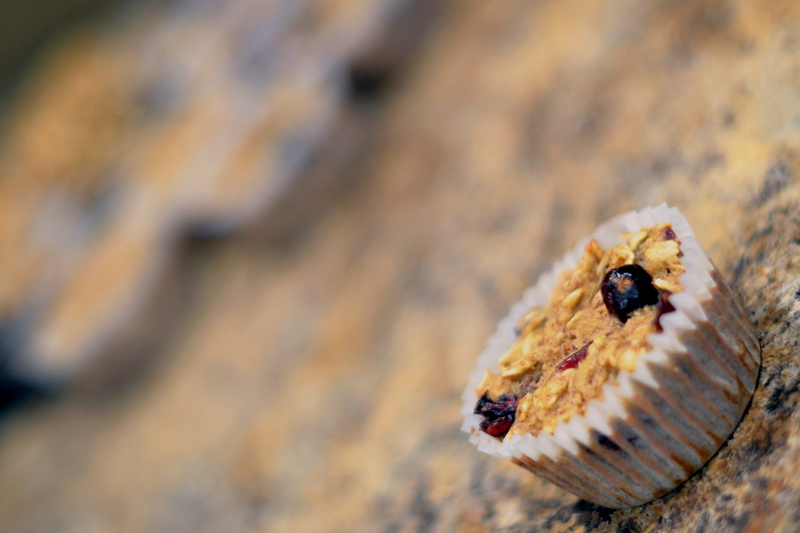 I was nervous at first that the oatmeal would be more like a muffin and less like traditional oatmeal. I didn’t want flour. I didn’t want sugar. I wanted the health benefits of the oatmeal without the added sugar that is normally associated with a muffin. 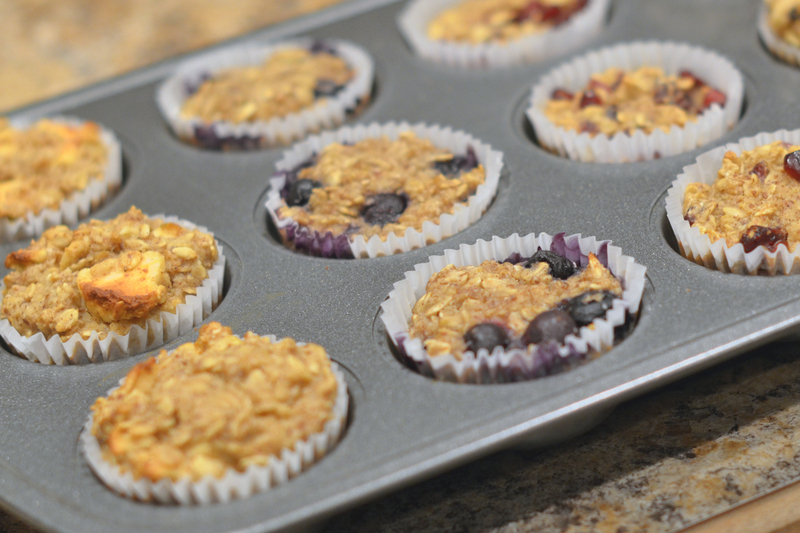 This recipe from Sugar Free Mom is the absolute perfect solution! I am excited to announce that I have made this recipe and LOVE it! I have made some slight adjustments to the recipe (using honey instead of the Stevia) and I’m so excited for the way they turned out! I also can’t wait to try other recipes from this website! 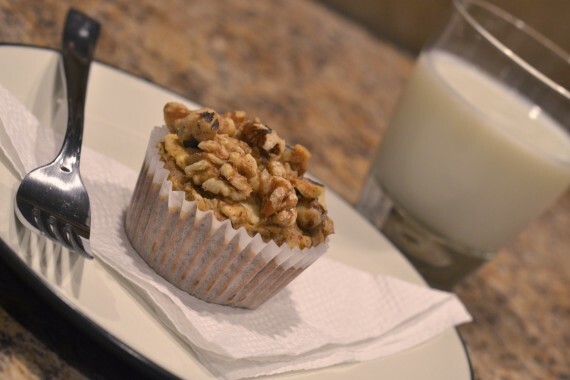 These Baked Oatmeal Muffins look like a muffin but taste like oatmeal. They aren’t dried out like a typical muffin at all, but are super moist and fall apart in your mouth. 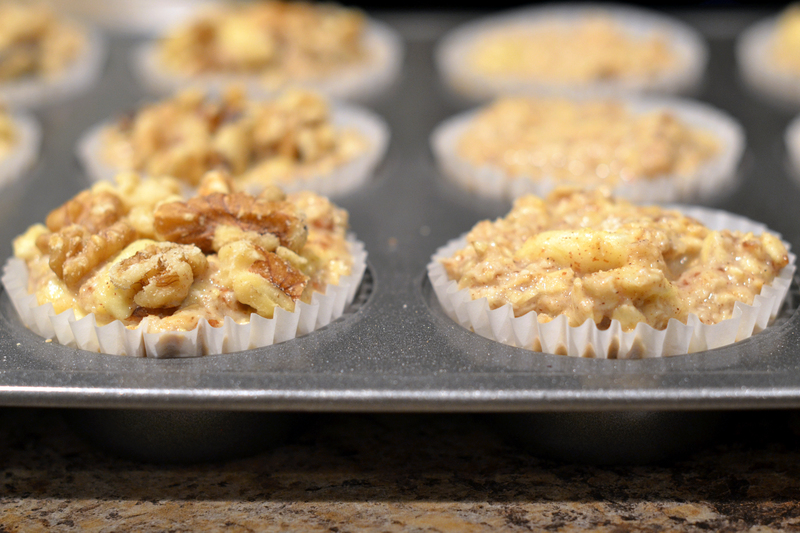 And one of the best parts is that you can add toppings into the muffin batter to create as many different kinds of Oatmeal Muffins that you want. Blueberry for Jon. Apple-Walnut for me. This recipe is definitely a win! 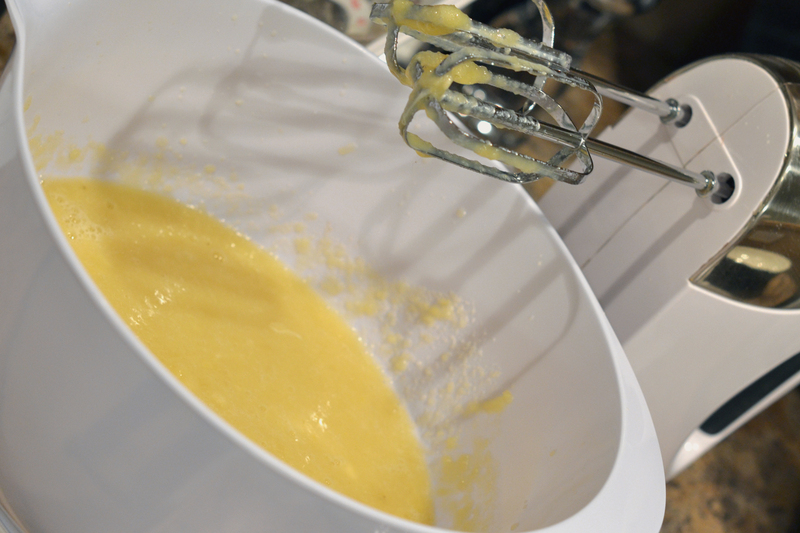 I hope you enjoy this recipe and the pictures! I’d love to hear what your favorite toppings would be! 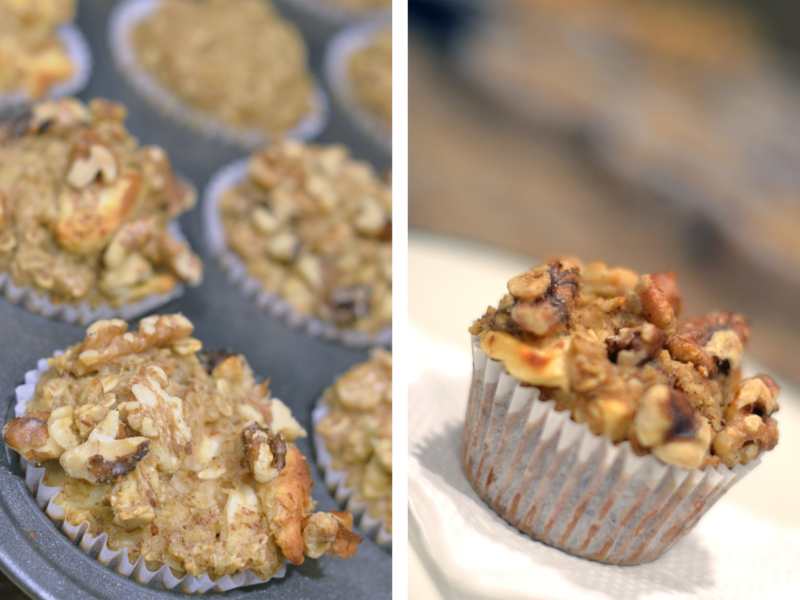 The pics look great and the muffins taste great!! Win!